Each year, a new crop of farmers and sustainable farms is cultivated in the Lehigh Valley of Pennsylvania, thanks to the work of the Seed Farm. 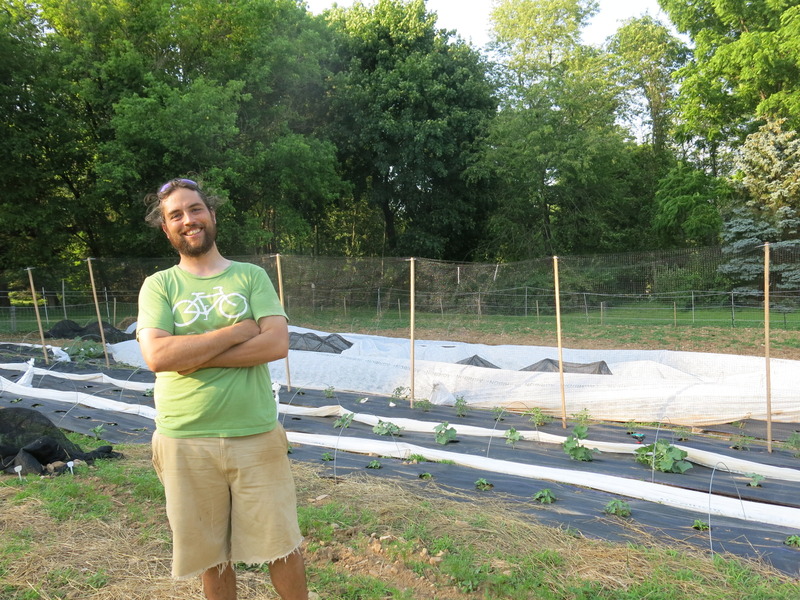 Through a unique combination of hands-on farm training, classroom learning, and an agricultural incubator located on site, the Seed Farm helps new farmers to overcome obstacles that might otherwise prevent them from pursuing careers in farming. And as the 2014 season wraps up, we are seeking interested new farmers to take part in our 2015 training season. The Seed Farm’s nine-month, intensive training program consists of over 600 hours of training on the farm and in the classroom. During the training program, participants build skills in greenhouse production, seeding, transplanting, irrigation, soils, cover crops, pest management, weed management, season extension, and post-harvest handling. Each apprentice is responsible for developing a comprehensive plan for a particular crop family and managing it throughout the season. Trainees are given frequent opportunities to make key decisions for the farm and delegate tasks with the support of the Farm Manager. Farm ownership requires many skills not always covered in a typical on-farm learning experience, such as how to piece together a marketing plan, manage crop plantings and rotations, and plan ahead for looming pest and disease problems. “[After completing a pre-season assessment] I was surprised at how little I knew, despite four years of previous farming experience,” said Emma Cunniff, who graduated from the Seed Farm’s training program in 2013 and now owns Kneehigh Farm, a 1.5-acre diversified vegetable farm. The Seed Farm training program helps build a bridge from farm worker to farm owner by providing experience in key areas including management, tractor/equipment use, business planning, and marketing. Equipment training is emphasized, and a wide range of seeding, transplanting, cultivation, and soil tillage tools are demonstrated and used at the farm. On-farm training is complemented by classroom activities throughout the season, including three formal courses organized by Penn State Extension. 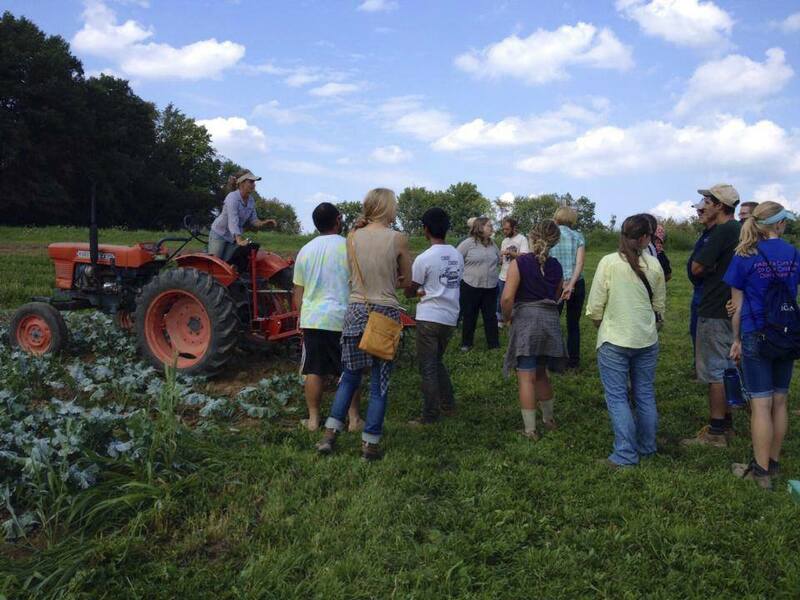 In addition, apprentices conduct farm visits, allowing them to experience different types of agriculture and form connections in the local farming community. The Seed Farm participates in Tri-State CRAFT (Collaborate Alliance for New Farmer Training) program and is a member of PASA (Pennsylvania Association for Sustainable Agriculture). Making the leap from farm worker to farm owner is difficult – or seemingly impossible – without the land, equipment and capital to get started. Graduates of the training program may apply to join the Seed Farm’s agricultural incubator, where they can launch their farm businesses with access to land, equipment, infrastructure, and continued mentorship. This program allows participants to start their businesses immediately, building credit, a customer base and skills, while receiving continued support from a community of farmers. The Seed Farm’s training program also provides new farmers with the skills that they need to climb the agricultural career ladder. The higher-level skills of planning and equipment use are valued by farm owners who are seeking qualified farm managers. To date, 25 new farmers have participated in the Seed Farm’s training program. 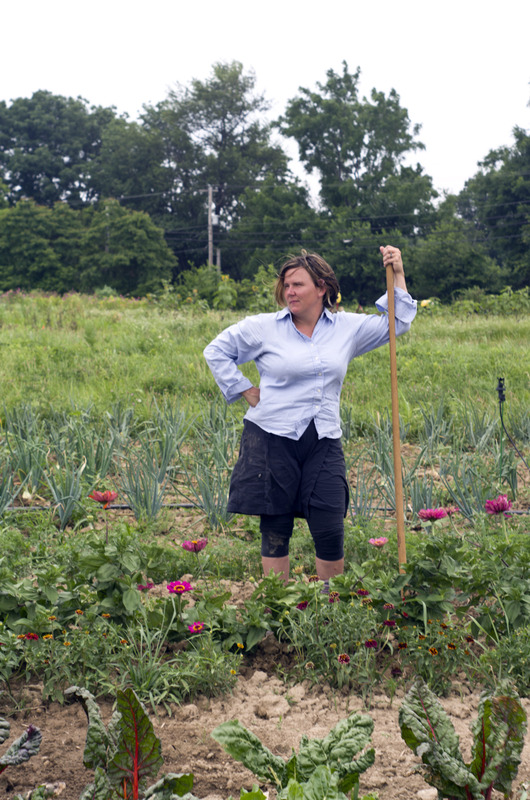 In 2014 alone, six past participants launched new farm businesses. It is a thrill to see the paths that our graduates have taken with the skills that they learned in our training program. Whether they go on to start or manage farms, grow produce for use in their restaurants, work with other farmers as consultants, or even grow medicinal herbs for use in clinical practice, we are proud to have provided the training and support that helped them achieve their dreams. In our quest to make high-quality training accessible to all new farmers, regardless of financial ability, the Seed Farm is offering three fellowships for our 2015 training season, which will provide scholarships to applicants with at least one year of commercial farming experience. A work-study option is available to applicants who need additional farming experience, giving them the opportunity to work extra hours on the farm and earn back the amount that they paid in tuition. Need-based financial aid is also available. More information about the Seed Farm’s programs, as well as application materials, can be found at www.TheSeedFarm.org. Lindsey Parks is the Executive Director of The Seed Farm in Emmaus, PA. She can be reached at (610)391-9583 x16 or Lindsey_Parks@TheSeedFarm.org.